For a safe connection to a beam-clamp or chainhoist a proper shackle is required. Therefore Showtec now provides a (certified) range of shackles consisting of 1,0T to 4,75T shackle in order to rig your truss, speakers, etc, safely to your sling or hoist. The shackles are available in a 1,0T to 4,75T version with shoulderbolt or nutbolt with split pen. For a safe connection to a beam-clamp or chainhoist a proper shackle is required. Therefore Showtec now provides a (certified) range of shackles consisting of 1,0T to 4,75T shackle in order to rig your truss, speakers, etc, safely to your sling or hoist. 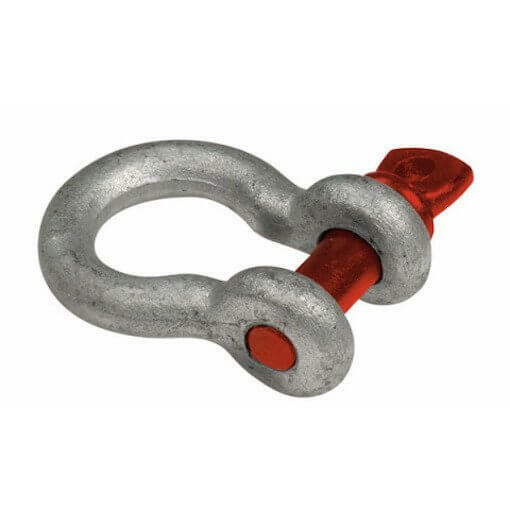 The shackles are available in a 1,0T to 4,75T version with shoulderbolt or nutbolt with split pen. Ask your sales representative for the other shackles in our growing range of rigging products!